Commemorate the 50th Anniversary of Apollo 11's landing. 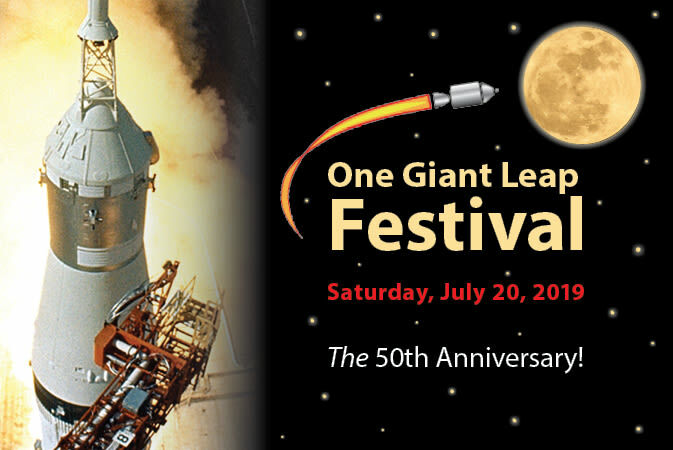 Our indoor and outdoor celebration will feature hands-on crafts, demostrations, and activities---including a virtual reality lab where you can "travel" to space and "be" the first person on the Moon; and a bungee-jumping station where you, too, can experience weightlessness, like real astronauts. More and more out-of-this-world fun will be annouced as the festival nears.